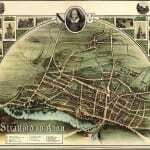 You are here: Home / Blog / Historic Shakespeare / When Was Shakespeare Born? Although nobody knows 100% for certain, Shakespeare is assumed to have been born on 23rd April, 1564. This is because his name appears in the baptismal register of the Holy Trinity parish church, in Stratford-upon-Avon on 26th April 1564, and at that time it was customary to baptise a child three days after its birth. 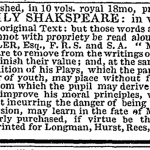 https://www.nosweatshakespeare.com/wp-content/uploads/2013/10/Shakespeare_batismal_record1.jpg 92 800 warren king http://www.nosweatshakespeare.com/wp-content/uploads/2014/01/nss-logo.png warren king2013-10-28 17:24:402013-10-28 17:26:35When Was Shakespeare Born?